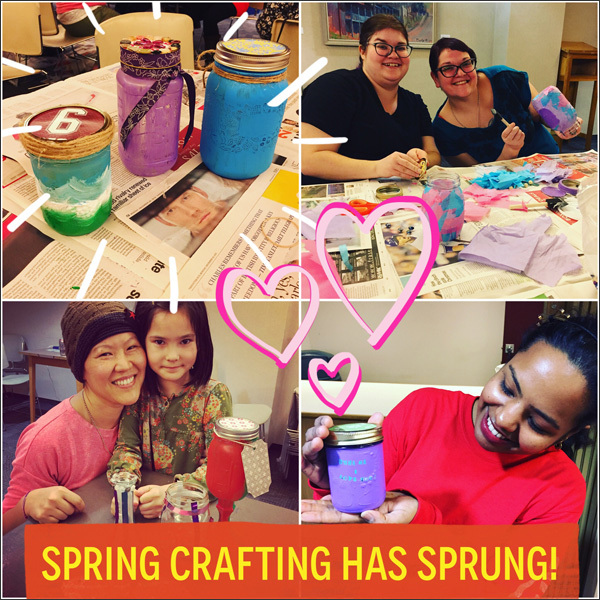 I started April with a super awesome Adult Springtime Crafternoon with the New Westminster Public Library. 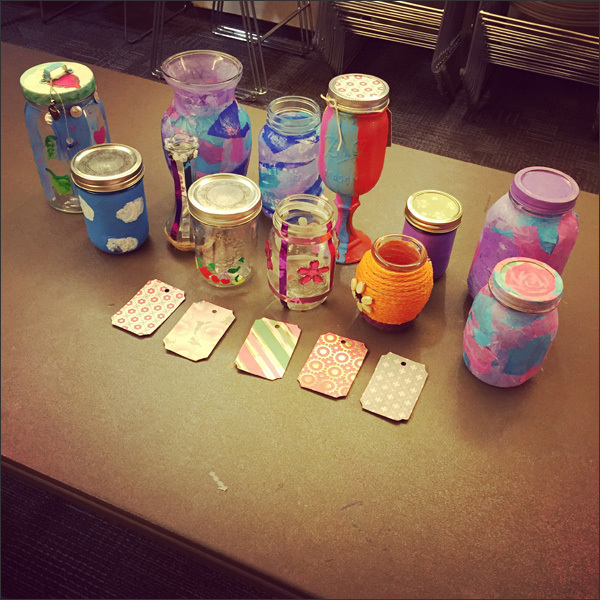 We had 12+ participants join us to upcycle Mason jars into vases, reusable packaging, etc. I am loving partnering up with New Westminster Public Library. They are so great to work with! 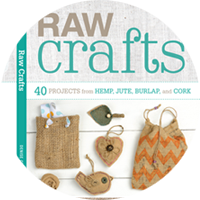 We've already lined up another crafty date for December! Here's an aunt and niece duo... 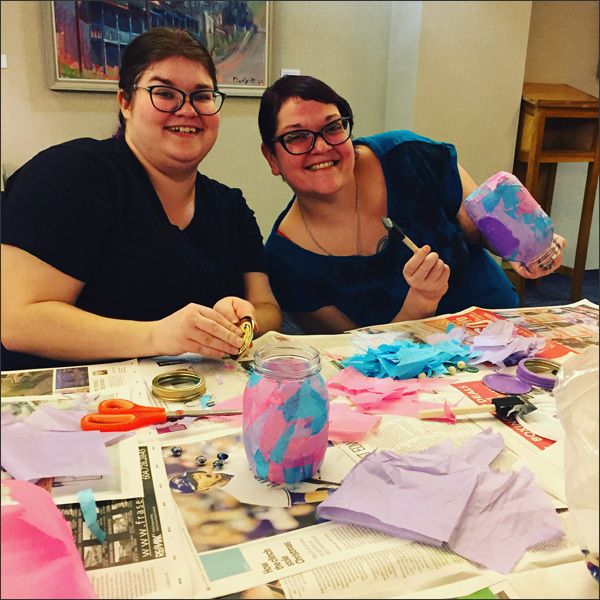 These two were tons of fun and helped inspire other participants. We had tons of Mason jars plus a few thrift store vases needing some refashioning. 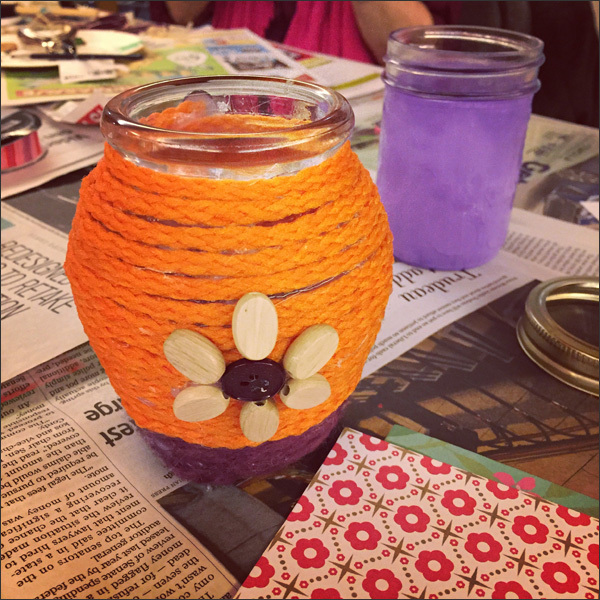 Here's a funky vase wrapped in scrap yarn and decorated with beads and buttons. A few completed projects - paint, decoupage, ribbon and buttons made these pretty darn swanky. Another finished project... A bit of paint, a bit of decoupage with jute and an old clasp to add a bit more pizzazz. The group's finished projects... I always love seeing the variety of results in the Crafternoons. Participants styles, colours, etc. Each DIY is always unique and one-of-a-kind. And people always surprise me with their ingenuity and how they use the materials supplied. This lovely thrift store vase was decorated with shiny tape and buttons then the bottom was wrapped with jute. So kewl! Our mother and daughter date... Emma even serenaded us on the piano for a bit! 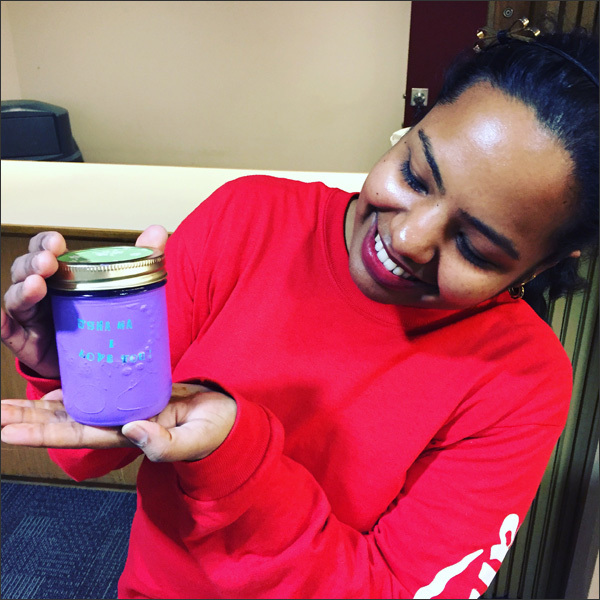 And my new crafty peep, Sharanya. She's been to three of my upcycling workshops. She's so sparkly and fun. 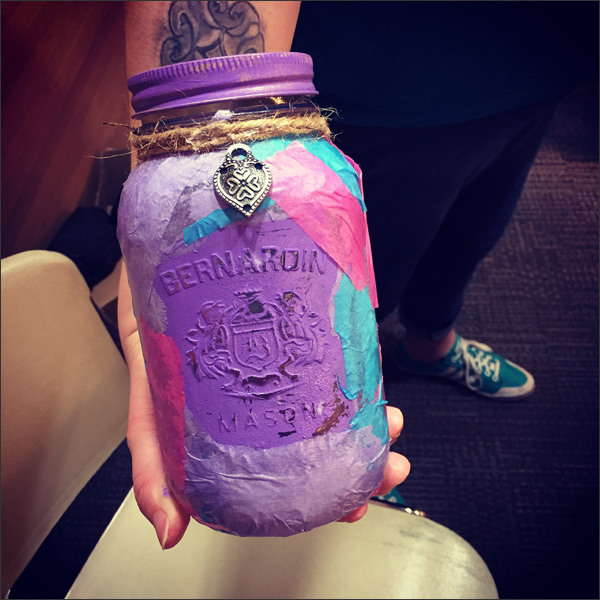 Here's a Mason jar update she made for her mom. 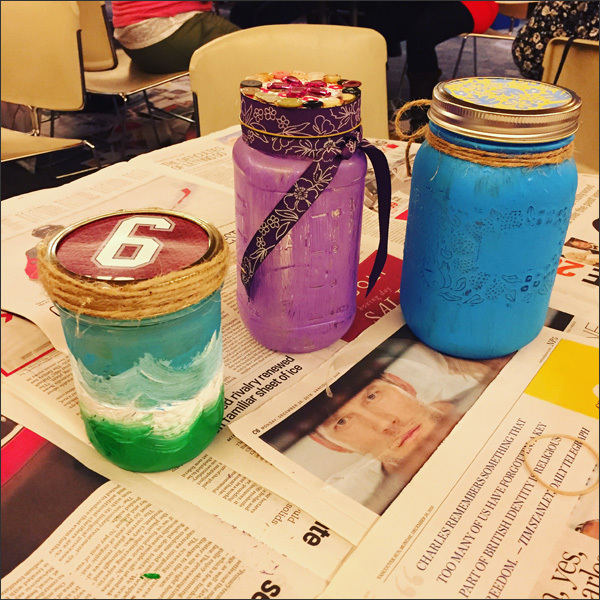 What a fun upcycling workshop! And it's made me want to upcycle more Mason jars! Just wait to see my next DIY I'll be posting soon... Cheap, easy and awesome! 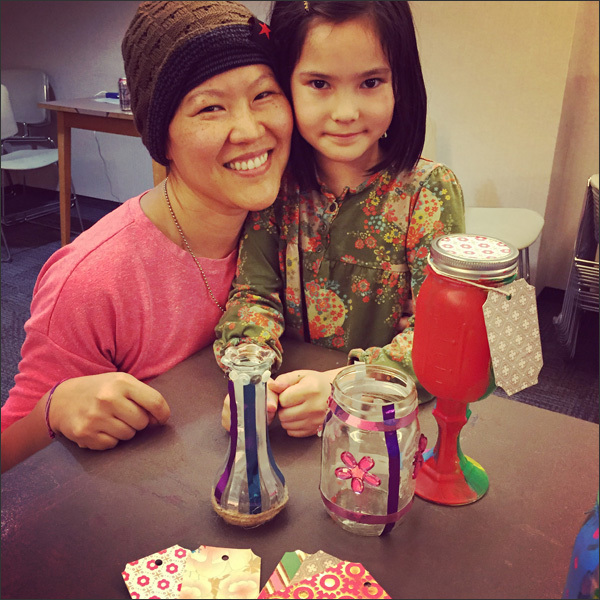 Big thanks to New Westminster Public Library for hosting another FAB Crafternoon. Want to join me for an upcycling workshop? 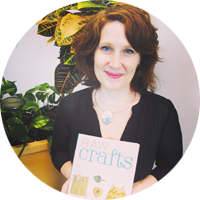 Find my upcoming events on my website at www.thriftybydesign.ca. 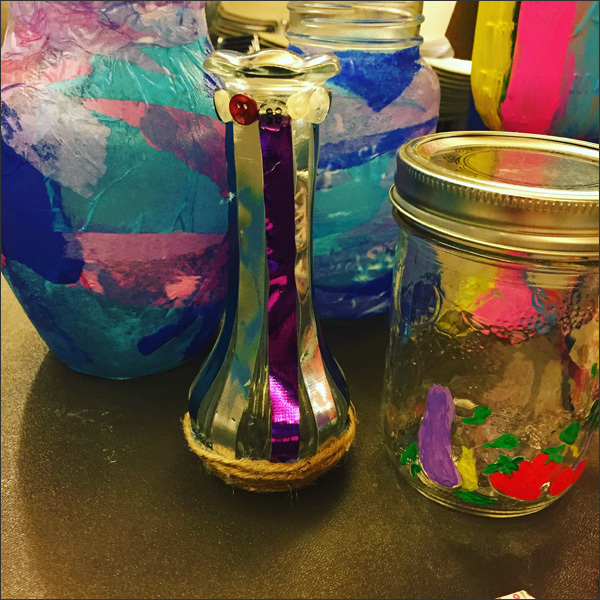 11 Crafternoons for 2017 and counting!